Download for free, do whatever, just don’t sell. This is just a very rough estimate, not really a final product. 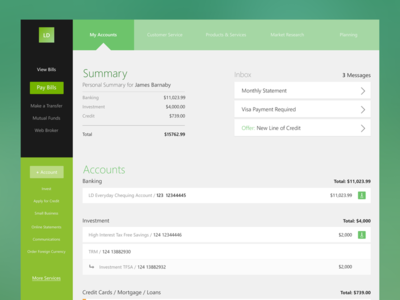 Flat Bank UI is a free UI design resource made by Dribbble user Rishabh Varshney. As far as I can tell, its license is Free for Commercial and Personal Purposes.